Thoughts on iOS, Android, GoLang and more. I wanted to add some new features to my homepage and add something out of the ordinary. I had a few ideas I could work on. So then I thought a little bit about what would be the best way to impress people a little. So I decided to just have some sort of exciting looking visualization on my about page. By chance I came across the product page for Apple’s music streaming service. They have a 3D model of the earth running with WebGL to visualize the locations of their radio recording studio’s and the upcoming performances on the Beats1 radio channel. So this is how I got the idea to do something similar to visualize some places I visited and get a little ‘wow’-effect from people visiting my website. 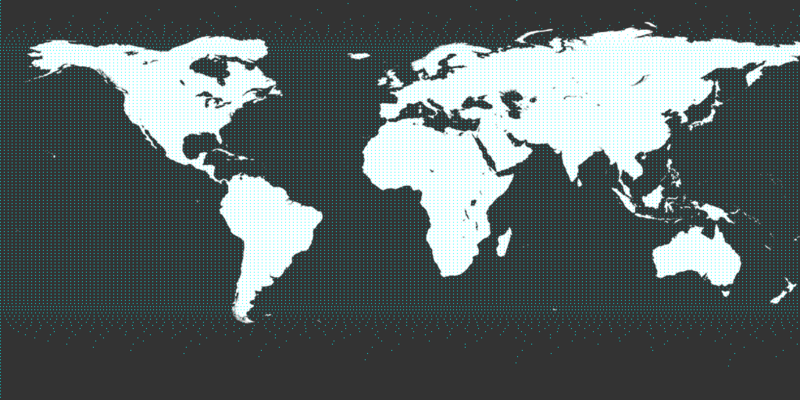 We start off using Google’s WebGL-Globe Chrome experiment. This already gave me most of the necessary code to render a sphere and to position little marks on it based on a latitude and longitude. It is based on three.js which allows me to draw very complex 3D scenes with lot’s of objects without neeing to care about WebGL specifics or a scene-graph. To figure out which pixels to actually use, we need to look into the way the image actually displays the surface of the earth. My map-image shows the earth’s surface as an Equirectangular projection. This means that the spherical surface of the earth is mapped to the flat surface of the image with a very simple linear formula. 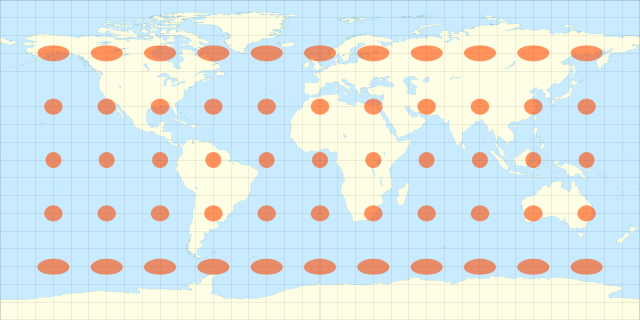 The distances in the image are basically equal to the latitude and longitude expect for a linear factor. // as 8bit values for each color channel. The layout looks like [R,G,B,A,R,G,B,A,R,G,B,A,...]. // Therefore we need to calculate the right position to look for the pixel value we want to look at. // We just linearly convert the image coordinated to the angular latitude and longitude coordinates. And that’s basically it! All other required modifications of google’s project were just the removal of unnecessary features like some custom shaders and changing some colours. Name Maximum of 50 characters.